Despite what their Instagram profile would have you believe (please refer to their Insta bio), Halide Supply are not an amateur sports team. 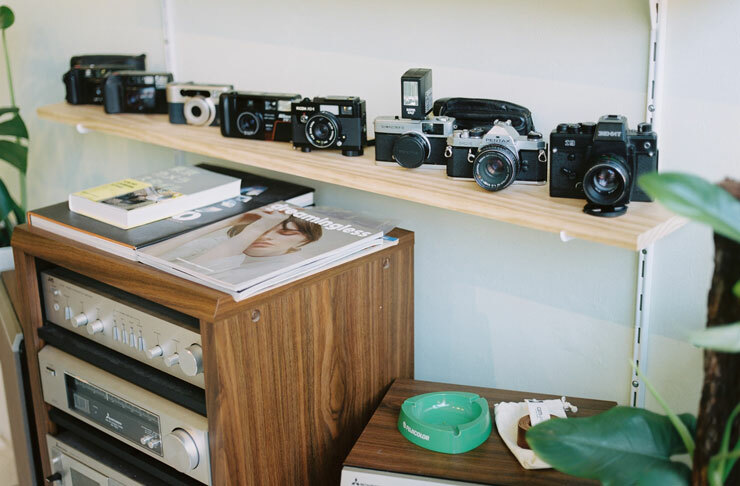 No, they’re actually Melbourne’s latest analogue photography haven. And there’s a high chance you’ll be paying them a visit either before or after you’re done demolishing your Il Classico pizza at Lazerpig across the road—depending on where your loyalties lie, of course. You’ll find Halide Supply located smack bang in the middle of Peel Street in Collingwood, a minute’s walk from Smith Street and a few storefronts away from Spenceroni’s iconic Miami Horror collab mural. Yeah we know, prime real estate. These guys are an independent photo lab and film shop (minilab, for short), and they’re absolute experts in the art of film processing. They opened around two weeks ago, and if you managed to get to their opening party, you’ll be well aware that they’re all about letting the good times roll. Right now when it comes to Melbourne film stores, you’ve got a few options. Film Never Die, Hillvale and Work In Process come to mind, and the best part of it all? Each store operates within the realm of their very own niche—but more on that later. If you were (naturally) curious about the store’s name, its inspiration was drawn from the chemical compound, silver halide. 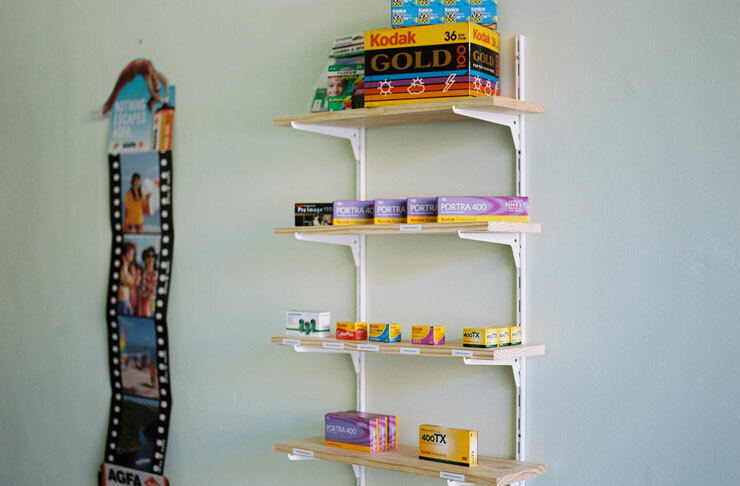 Store co-owners, Jed, Emil and Gong revealed they didn’t want to be too obvious with the name, consciously avoiding words like film and photography. So how can Halide Supply be at your service? Well, if you’re looking for a new place to get your film processed or you just happen to find yourself loitering North-side with a finished roll, they’ve got you sorted—backed in by their beloved arsenal which includes the Fujifilm Scanner SP 500 and the Imacon Flextight. And if you’ve got little to no clue about either of those bad boys, don’t worry, you can rest assured knowing that once you drop off your film, you can expect to find your digitised files sitting pretty in your inbox the next day. Yep, these guys don’t mess around… that much. Cost-wise, you’re looking at no more than $13 per roll—a tiny monetary exchange for some quality high res scans that are going to look fresh AF on your Insta. On the other hand, for the self-confessed film addicts out there, you can opt to lock in a membership (like you even needed another reason to keep shooting a roll a day). If you’re in the market for a new camera (there’s no use denying it), it’s worth checking out their in-house selection. Right now they’ve got a sweet collection of point and shoots just waiting to be snapped up. They like to keep their camera offering minimal, but if there’s a particular model you’re on the hunt for (which they don’t currently stock), they’re more than happy to help you track it down. While they work to ensure their film processing services are the best and most efficient in the biz, they’ve set their sights on the bigger picture, too. This approach to film photography is the catalyst behind everything that happens at Halide Supply, with a focus on bridging the gap between youth culture and film. And although their focus lies in the youth culture space, they want to be as inclusive as possible, providing the opportunity to anyone (who likes to get a bit analogue from time to time) to get right amongst it. Did you know emu eggs are big in restaurants around the world right now? Find out why here.